Bring your next big event, gala, holiday party or class reunion to The Grand where every guest on your list will enjoy a unique and memorable experience. Our professional staff along with your personal event planner will handle every detail, from the décor to the dance floor and overnight accommodations, so you can relax and enjoy. We know a delicious meal is the perfect centerpiece to any event, our Executive Chef offers a variety of unique menus or can custom tailor one just for you. Located within walking distance to hotels, shops and restaurants – The Grand provides the ideal comprehensive space for your guests from near and far. At The Grand, we understand that the meal is the center of all gatherings. From breakfast to dinner, savory to sweet, our unique, chef-designed menus ensure that every plate is delicious and the perfect centerpiece for your event. 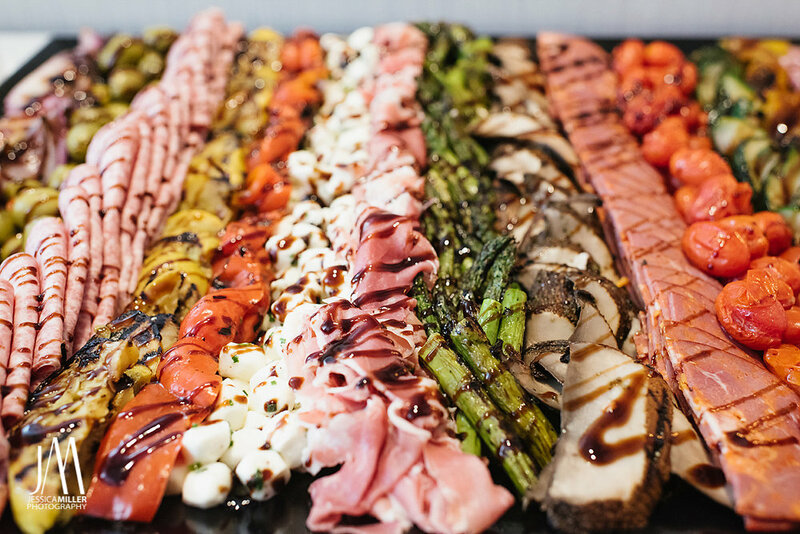 Our Executive Chef has created a variety of amazing menus to choose from or design a custom menu tailored to include your favorites with the help of your personal event planner. We offer breakfast, lunch, dinner and in-between dining options, served buffet style or seated, to fit your event perfectly.